Hi everyone, can you believe it's the end of 2018 already? 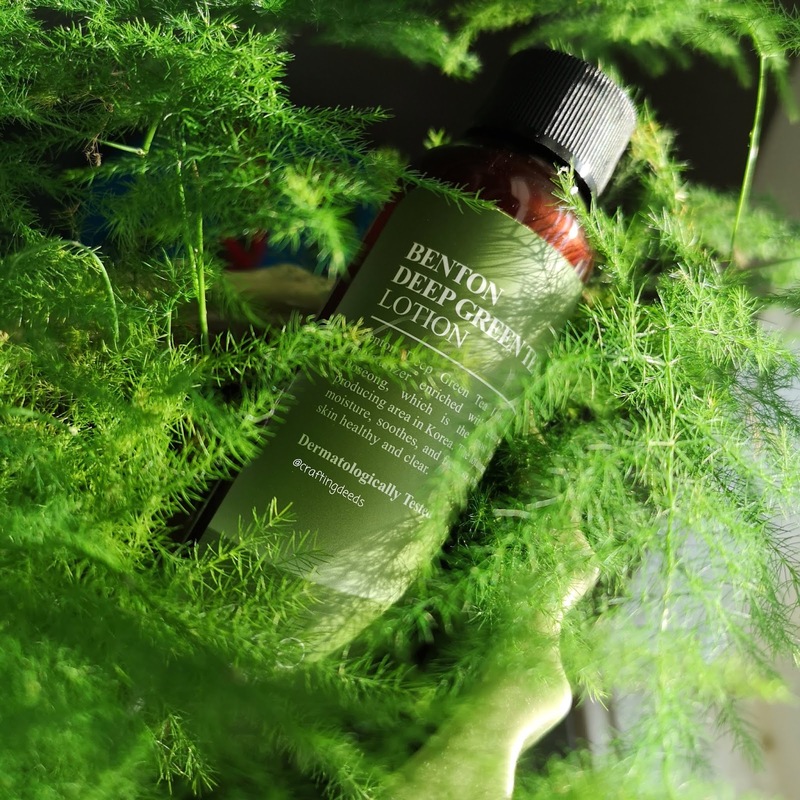 I am closing it out with the Benton Green Tea lotion, which is a brand new product that Benton just released. Hi everyone, how was your Christmas? Can you believe 2018 is almost ending?? It's kind of crazy how fast the year flew by! I still haven't really decided how I want to set up my blog yet but let's keep the mask compilation going! Today's post is review of all of the Mitomo masks that I have tried. Hey Peeps~ I am back with the mask compilation #2, which focuses on the Japanese brand of Sense of Care. I don't know much about the brand to be honest. I just got these from Skin 18. It looks like they stopped caring the brand, but I have seen it floating around on IG with reviews. So here's a compilation for people who are interested in the brand! 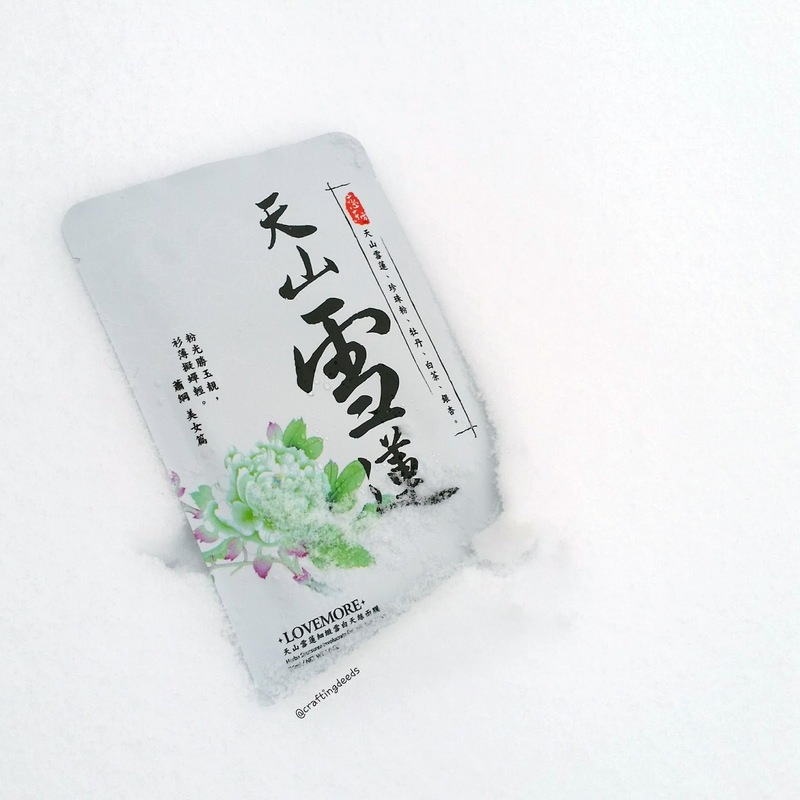 Hi everyone~ Long time no blog. 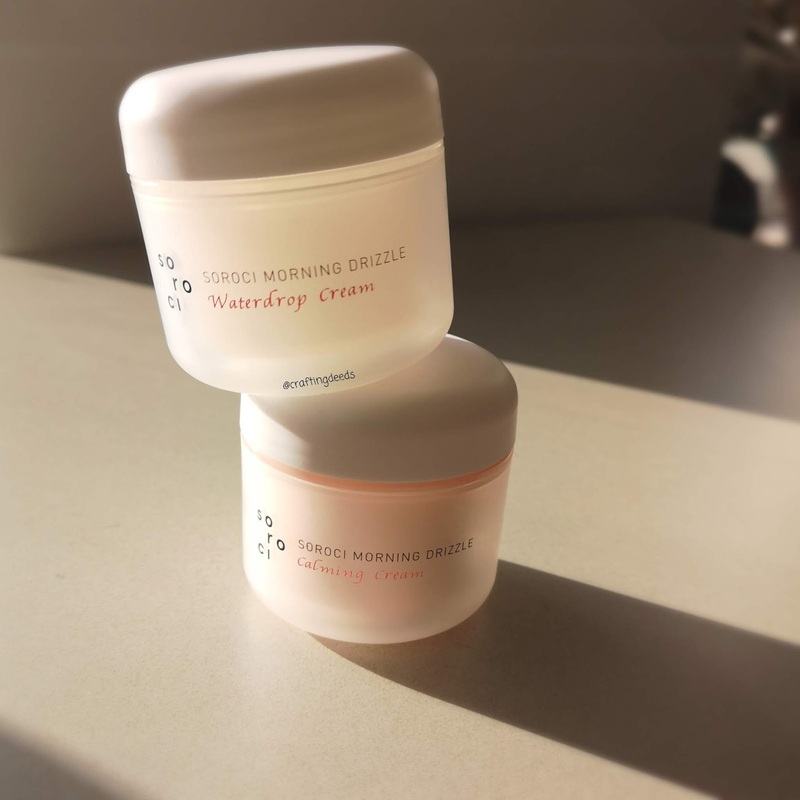 Today I am going to discuss some creams I received from Soroci Korea! They are the Morning Drizzle Waterdrop Cream and the Morning Drizzle Calming Cream. I love that the colours of their boxes are the inverse of each other! Have you ever watched your package travel across the country and wondering what the heck happened?! I have.. My Nakeup Face PHA Water Tox Ampoule from Jolse did exactly that. It cleared through Vancouver customs only to travel across the country to Montreal and spend a few days there before coming back to AB.. I guess my ampoule just really wanted to travel the country before it gets on my face! Hey everyone. I was lucky to be selected to test out one of the new products from TIA'M a while back. 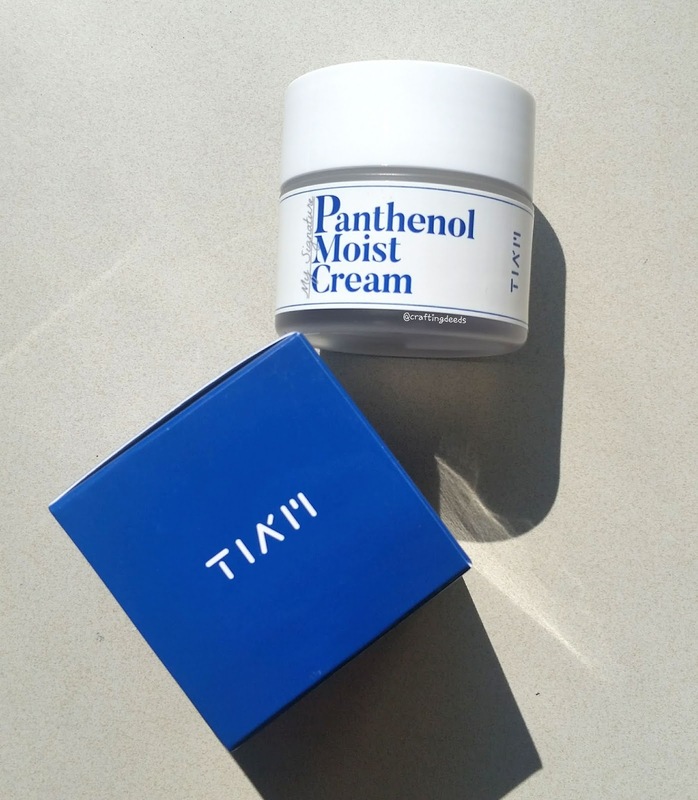 I was excited as I quite liked their Aura Milk Face Peeling Toner (review here) and the My Signature Panthenol Moist Cream looks quite appealing to me. 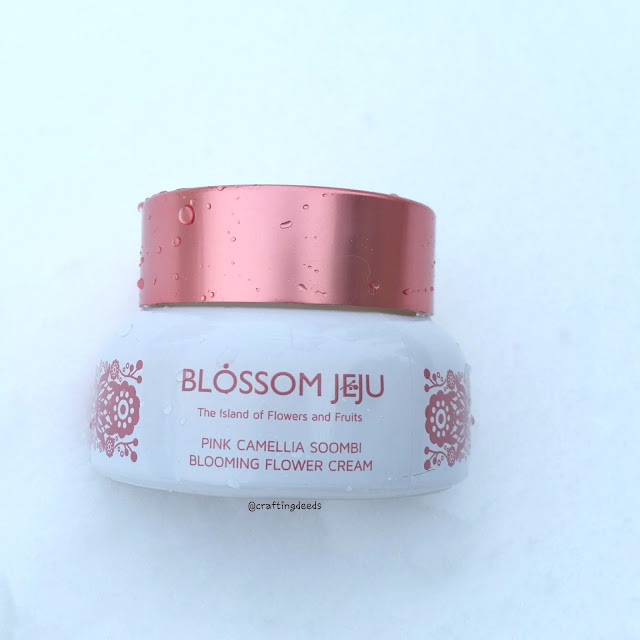 It is supposed deeply hydrate the skin while forming a moisture barrier and strengthen the skin barrier. I look forward to anything that is supposed to keep my skin moist! Hey peeps~ I am back with a dedicated review on these masks I received from Jolse. I love Jolse's reviewer program! You apply and they randomly select a number of people to try out a specific product each week. I love it because it doesn't take into consideration your social media follower counts, it just requires you to have one so the review can be shared. Jolse also provide the reviewer with a month or so to compensate for shipping and testing period. To me that makes it less about the numbers and more about the genuine reviews. Hey everyone, here's the second mask compilation, which is focused on masks that are supposed to be hydrating. Let's get to it shall we? I honestly bought this mask as it was really cute, in a shape of water bottle and something tells me it has to do with coconut water. (I love coconut water so.... I must try it!). Anyways, my guess wasn't far off, it does contain coconut and hyaluronic acid. 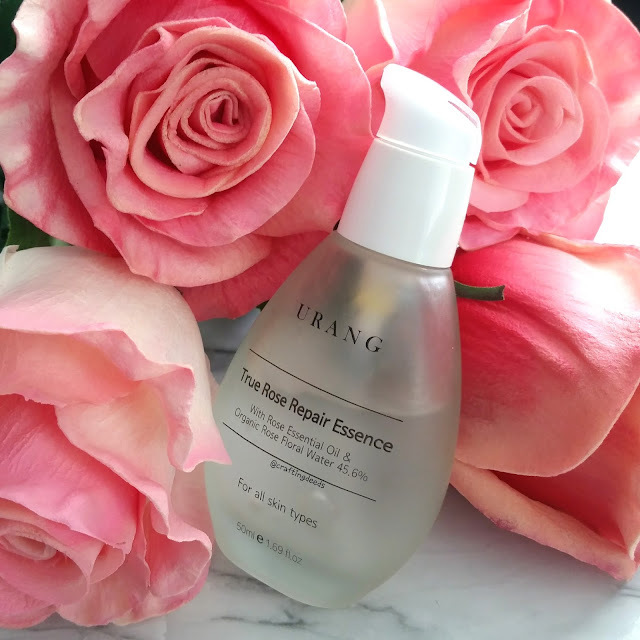 The mask comes in 20ml off essence that is heavily scented, like artificial apple blossom scents. The mask itself is soft and hugs the skin very nicely. I had it on for 15 minutes before it started to dry up near the upper lip area. It took forever to sink in and not feel sticky anymore. I was ready to write this mask off based just on the stickiness. 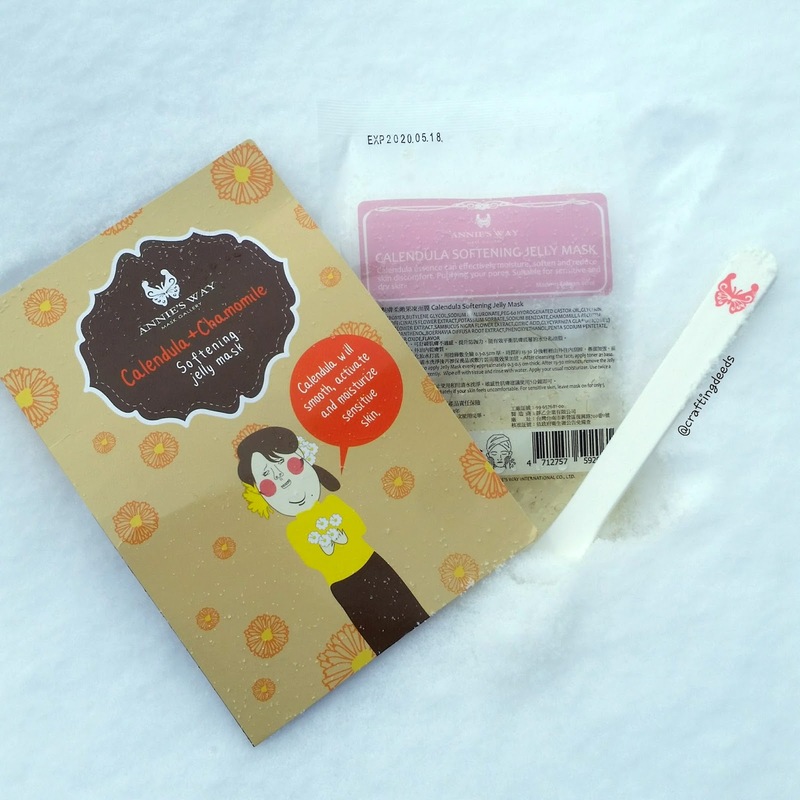 But my skin was so smooth and plump the next morning, I can totally put up with the stickiness. I would totally buy more of these if I come across them again. 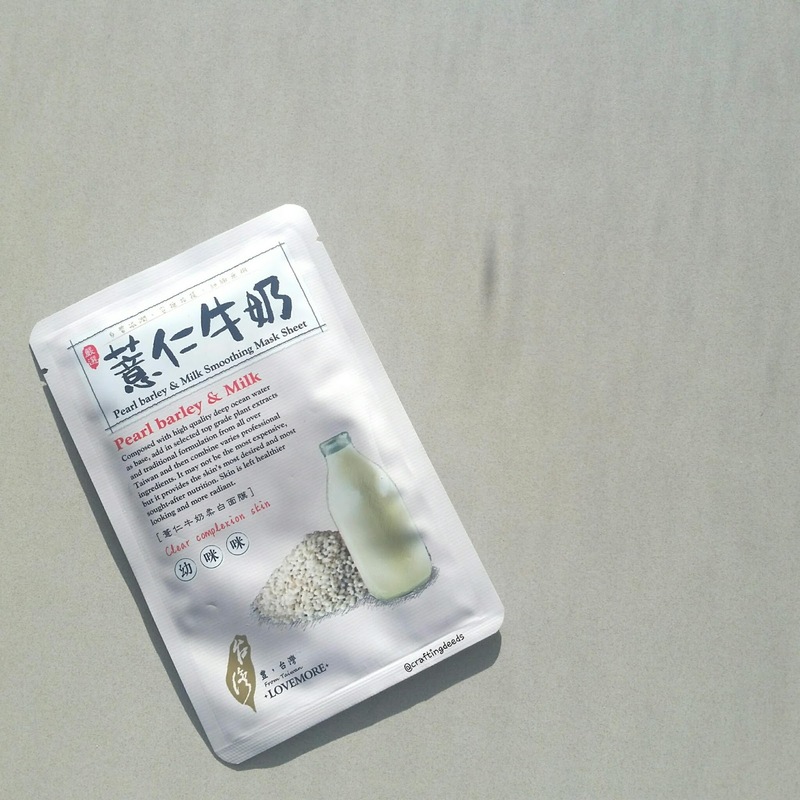 I automatically am drawn to anything with variation of hyaluronic acid advertised on it, and I was quite looking forward to this My Scheming mask. I love the super juicy thin silk mask from the brand. 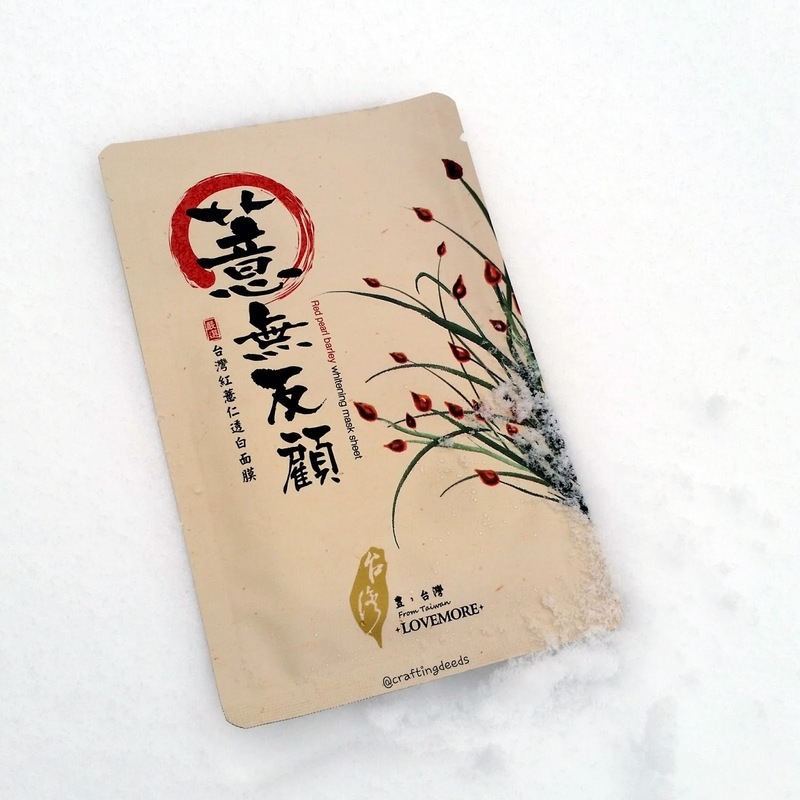 True to the typical My Scheming masks, it is a very thin silk mask that is soaked in 30ml of essence. It was dripping everywhere when I took the mask out. 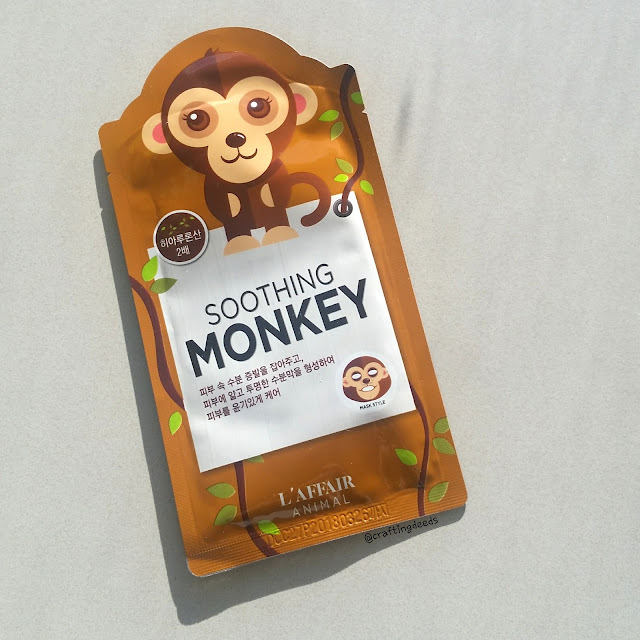 The essence itself smells kind of like saline solution and mosquito repellent coming out of the package, but smells kind of like cucumber when it's on my face. The mask took about 20 minutes to start drying up in the upper lip area. It took about 5 more minutes for the extra essence to sink in. My skin feels moisturized and quite happy. 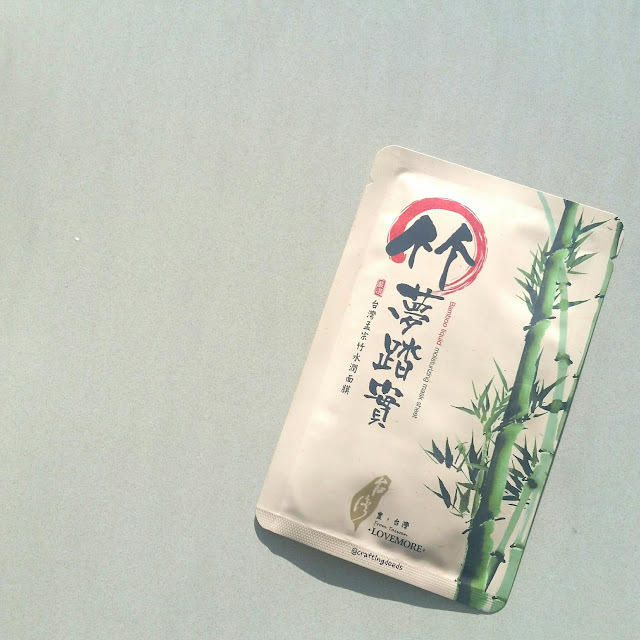 This is a good hydrating silk mask that I would totally repurchase! Another My Scheming silk mask this time! It is both brightening and hydrating. 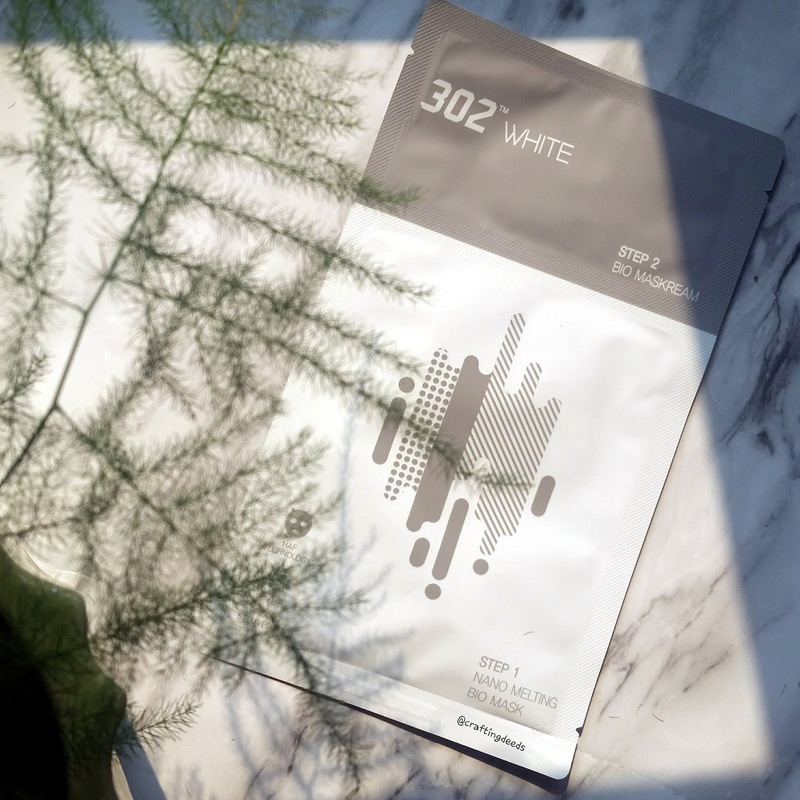 But seeing how I normally can't tell any brightening effects, I usually chalk up any brightening masks to just hydration. 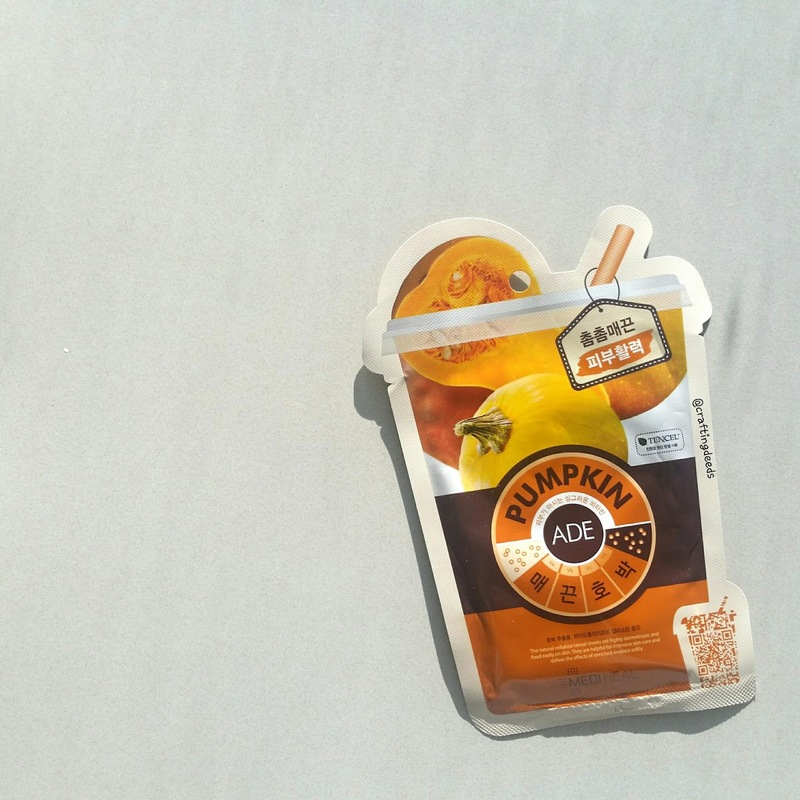 This is similar to the hylauronan mask, so it is super thin ans juicy. It has a chemical scent to it that reminds me of cherry cough drops, which is super weird. I also took this off after 20 minutes, because it started to feel like the mask was suffocating my skin. After I removed the mask, my skin didn't feel very moisturized or brightened. So this is a meh mask for me. That's a mouthful for name eh? I received this courtesy of Miirushop as Eden highly recommended it! 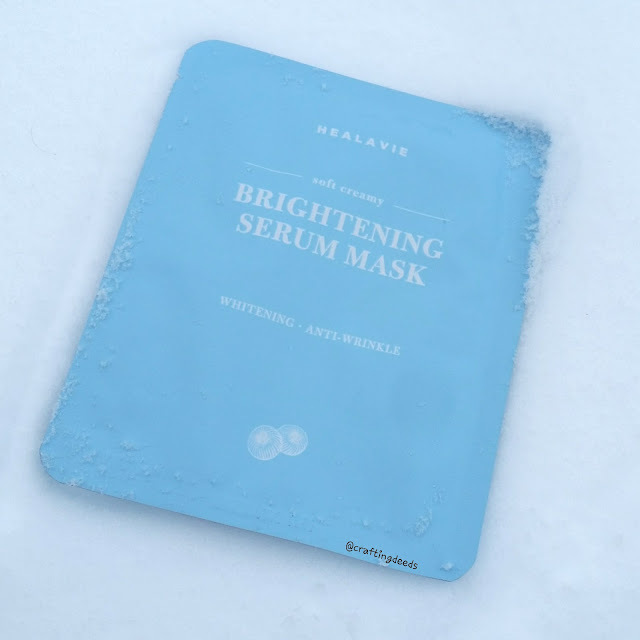 The mask is designed in such a way that it will deliver its powerful essence to your skin within 8 minutes. So you can do a quick masking session, even if you are super busy. The mask itself is super thin and hugs the skin well. It is also super juicy, which is typical of Taiwanese masks. The only potential downside is that it does contain parabens, which is a semi-controversial ingredient. I personally don't have too much of an issue with it, but do try to limit my usage of products containing it to once every two days. But that's my comfort level. I highly recommend doing some research into the ingredient and form your own comfort level based on your findings. Anyways, I took the mask off after 8 minutes and my skin was super hydrated and plump. I was absolutely in love. I couldn't stop touching my face to feel how smooth and plump it was after using an 8 minute mask. It was still plump the next day! Needless to say, I absolutely loved the mask! 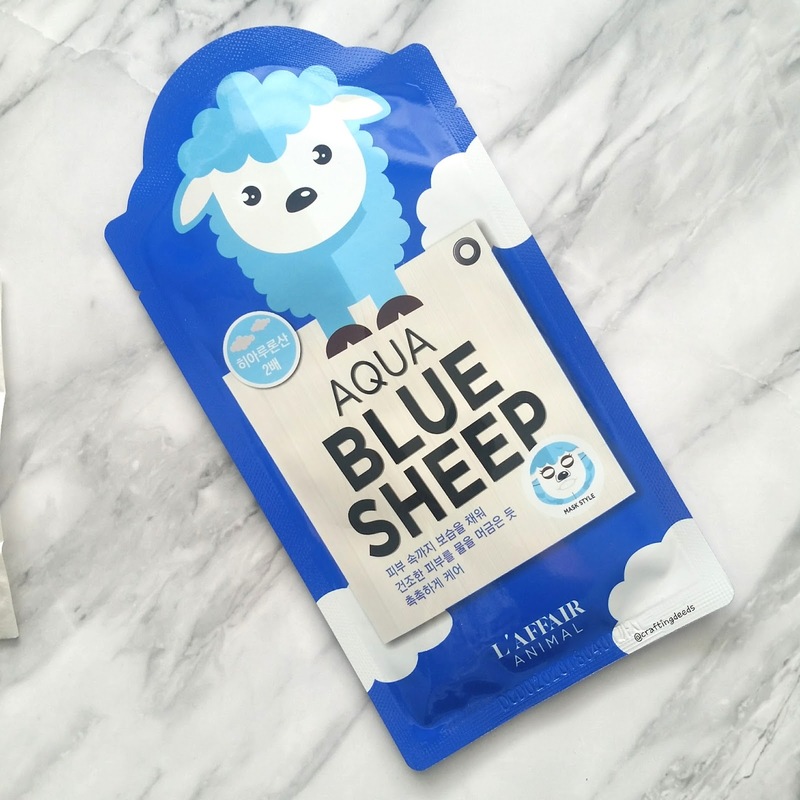 I already bought a of the aqua one from Miirushop, and a box of the collagen flavour for my mom. Yup.. You are not seeing doubles. . 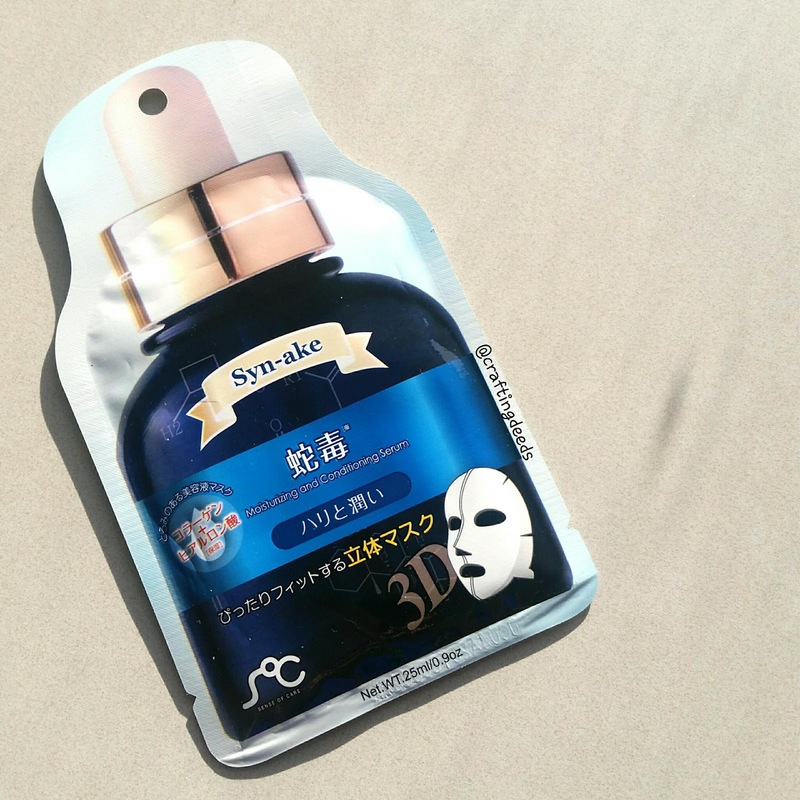 It is another mask that is shaped like a water bottle, but this one is from the Korean brand Scinic. The reasoning behind the purchase of the mask is still the same as My Coco Bottle mask, it looks like a water bottle. Hahahaa. The mask comes in 20 ml of essence that smells very strongly like a semi evaporated nail polish remover. So that's not very pleasant. The mask itself was very soft and fit very well that I didn't need a mirror to put it on. I had the mask on for 25 minutes and it was still very moist. But my face felt SO tight! That's not a good sign. It took a while for that tightness to go away, and for my skin to feel moisturized. But it was just meh. It is just meh. I figured I would rank how likely I would repurchase the masks in this post. So 1 means very likely, and 5 means not likely at all. Hey everyone. I took a little break from blogging because it was getting a little overwhelming. I been doing a review both on here and on my Instagram. I try to keep the content slightly different, where IG is shorter due to the word limit, and a little bit more detailed on here. But it's a lot of work. I just had a major burnout and needed to step away from everything to find myself again. Well.. I am still finding myself and taking my sweet time coming back. I think I will continue to post product reviews both on here and IG. But as I primarily review masks now, it seems silly to write the same content twice. Sometimes the masks doesn't even warrant a full post. So I thought I try something new. I figured I may just try and do a compilation of sheet mask reviews, with the IG posts embedded. So this way, I can be brief and you can click on to IG for the more detailed review. I'll try this out and see how it goes. Please let me know if you like this method or not! After the success with the OneOSeven Rose Vinegar Water, I was really intrigued by the other OneOSeven product I received from Be Mused Korea during the Skinvestment Beauty Date x MTL event back in May. 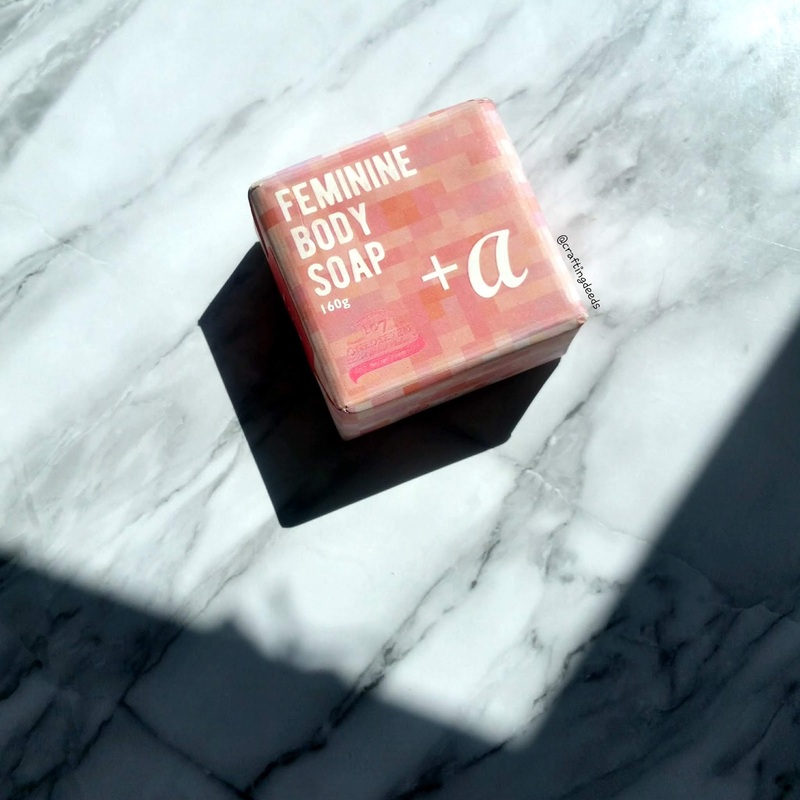 It is the OneOSeven (I am just gonna go 107 from now on) Feminine Body Soap + α, which is a body soap with fermented mugort vinegar and is designed for you private. It is to help balance healthy menstrual cycle of your body and will create a moisture barrier and lock in the moisture. 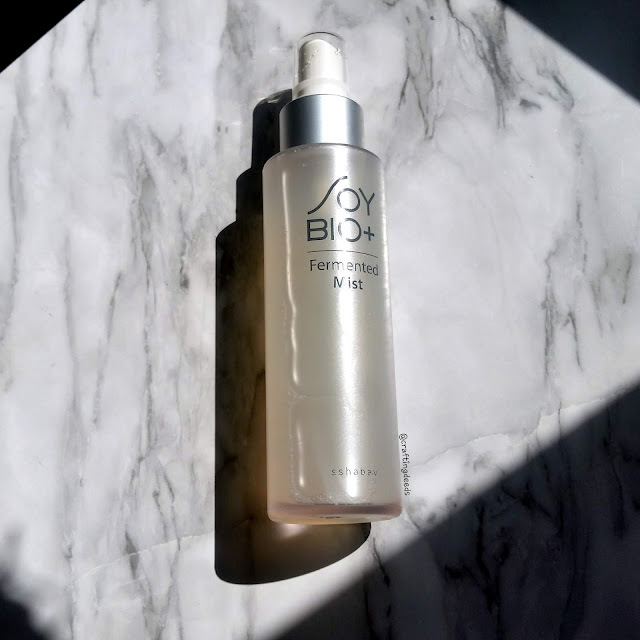 The other SoyBio+ product I received from the Beauty Date x MTL event hosted by Skinvestment was the Fermented Mist. One of the more interesting products I received from Skinvestment's Beauty Date x MTL event was the SoyBio+ Fermented Shampoo! 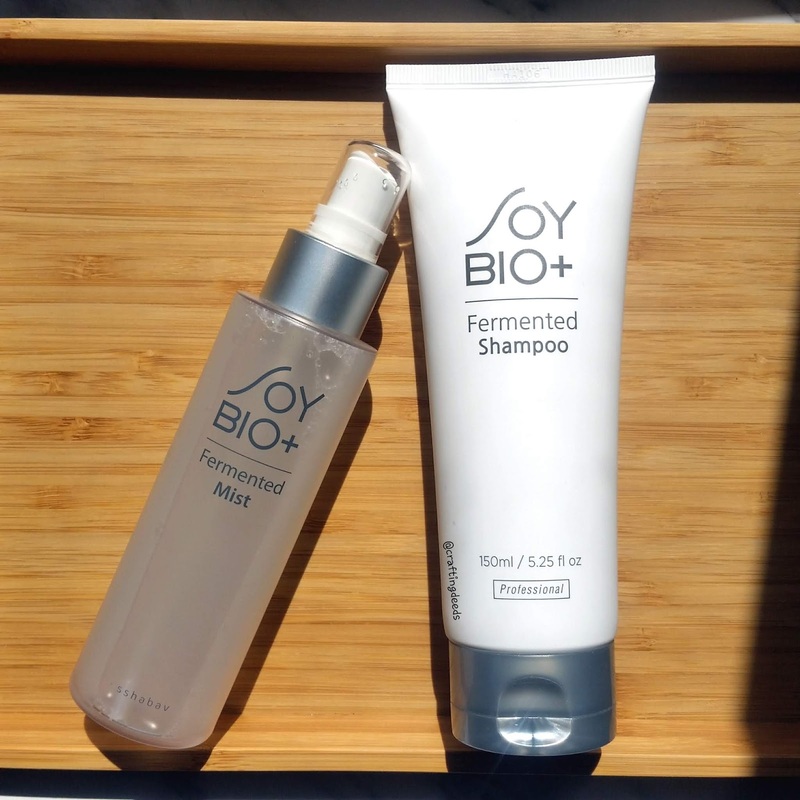 I haven't tried much Korean shampoos before but it sounded very interesting after Daint/Carmen's review of it! 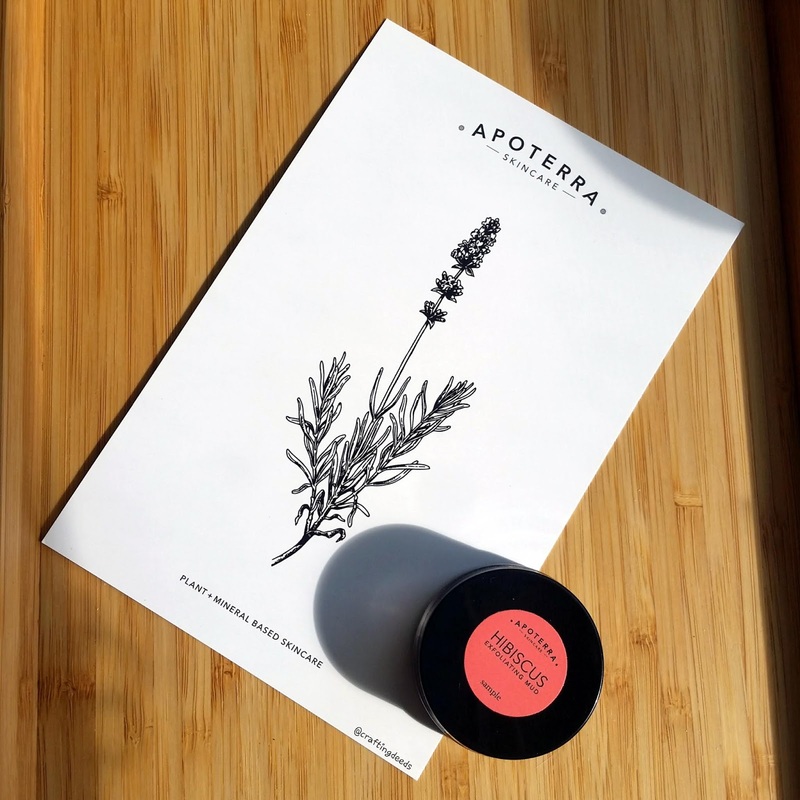 I received multiple samples from Skinvestment's Beauty Date x MTL event back in May and Apoterra left quite an impression on me! The card they sent to each of us were all handwritten! It's a a small gesture but it's so thoughtful to send handwritten notes with samples. I really appreciate it! Now, let's get into the product they sent. 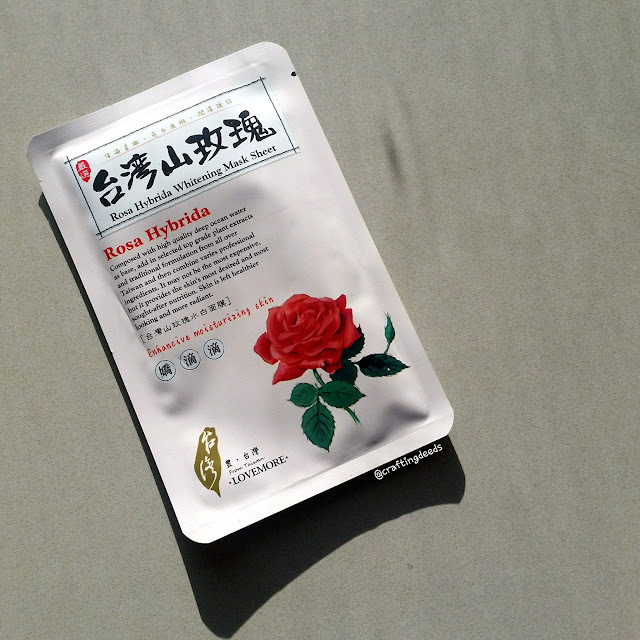 Which is the Hisbiscus Exfoliating Mud with Rosehip _ Acai. 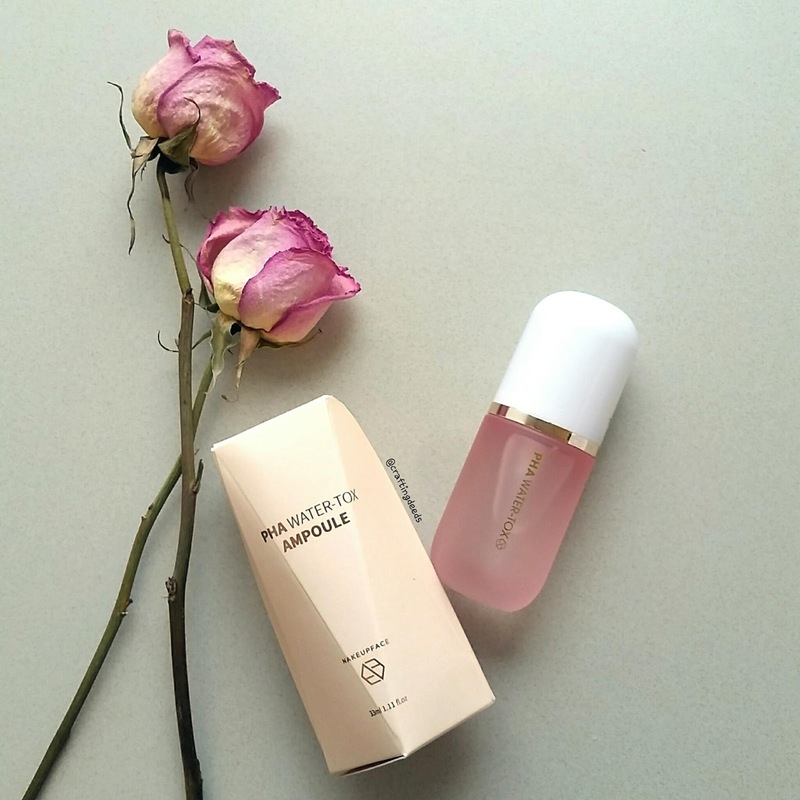 Another Canadian brand I was introduced to at the Skinvestment's Beauty Date x MTL event was Frutose. 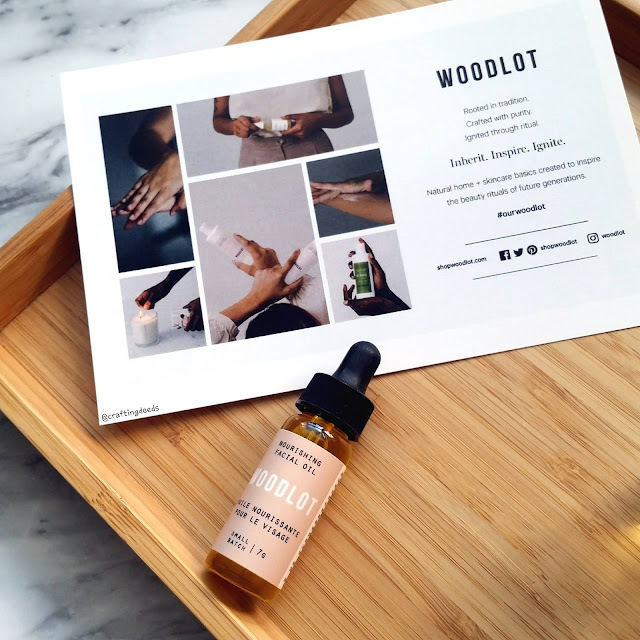 This is a new brand that started in Toronto recently and their focus is that all of their products contains ingredients that are either derived from or is present in fruits! What was explained to us at the event was that if fruits are good for our body through ingestion, then it could be good for our skin through absorption as well. 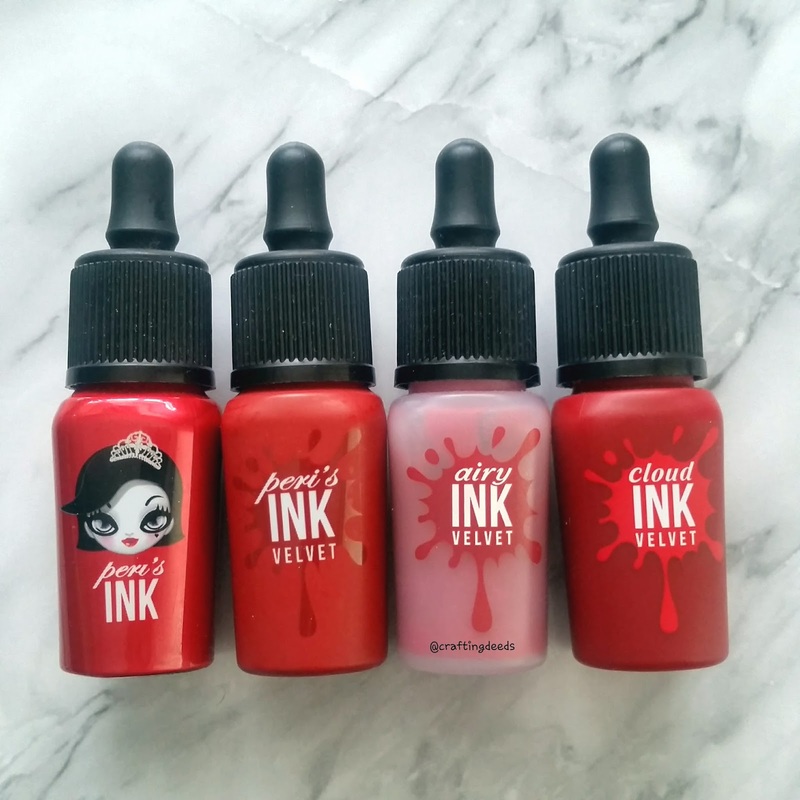 I was lucky to attend Skinvestment's Beauty Date x MTL event in Montreal back in May. I was even more lucky that this year's event was focused on green skincare! 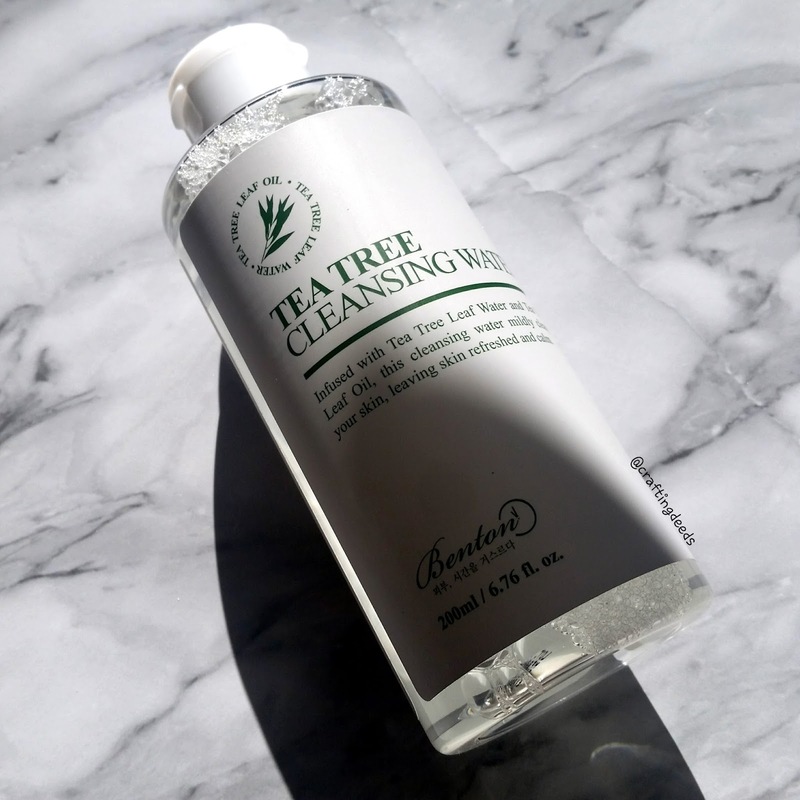 I am always up for some skincare products to try! Today's review is the Woodlot Nourishing Facial Oil. 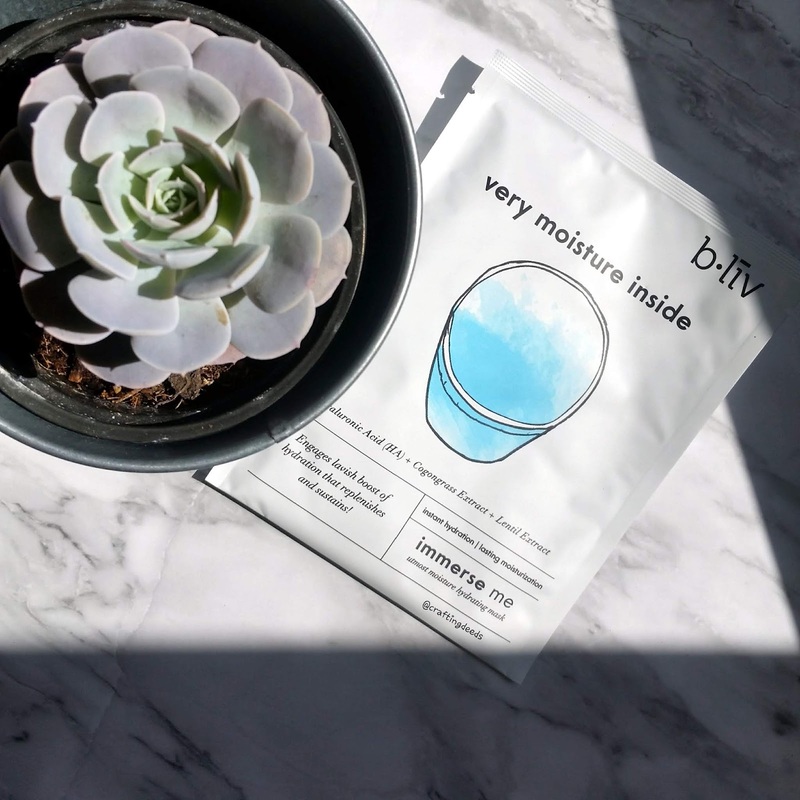 Today's review is on B.liv Immerse Me Utmost Moisture Hydrating Mask. 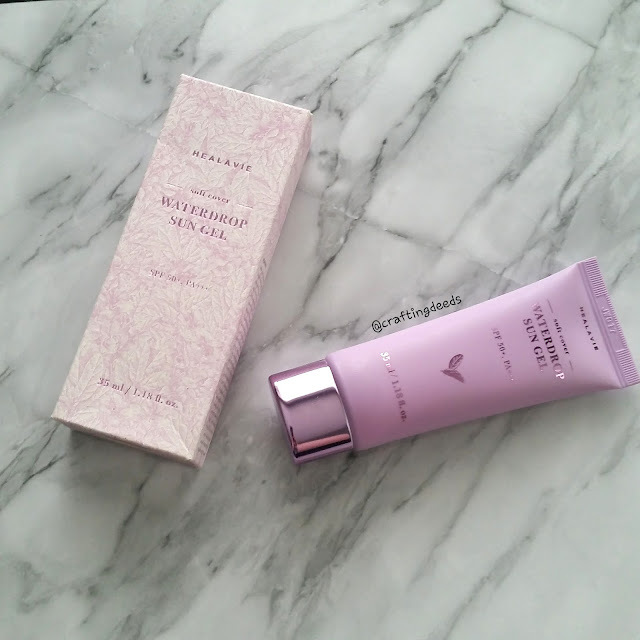 Which was provided to me by the brand at the Skinvestment Beauty Date x MTL event held back in May. 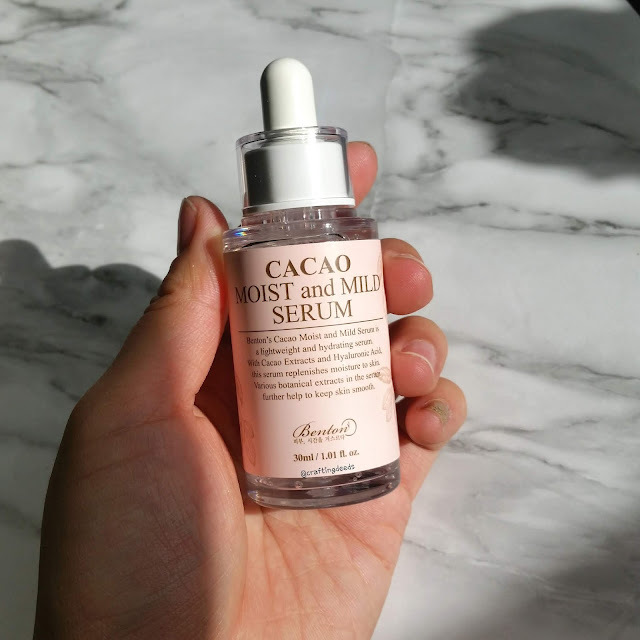 Hey peeps, I am back with another review of a product I received from the Skinvestment's Beauty Date x MTL event back in May. This time, this item is a little special to me because they are from my hometown!! <3 That makes me kind of excited to see a product made from Cowtown! 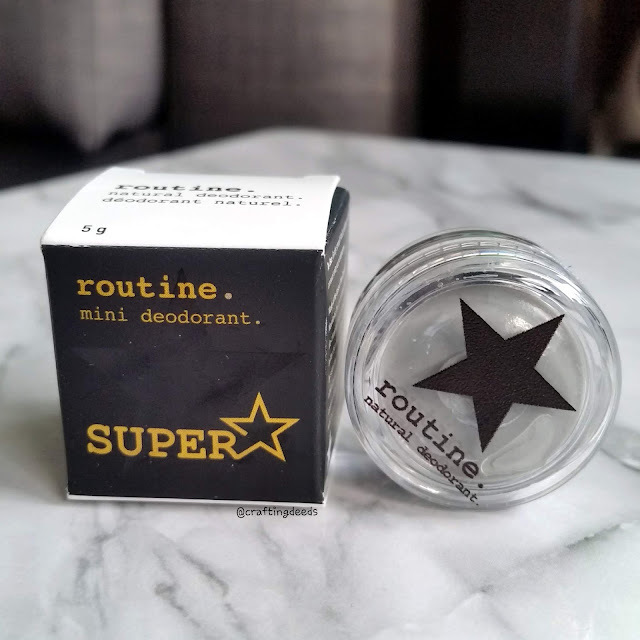 The product is Superstar, a natural deodorant made by Routine. This is a natural deodorant that contains activated charcoal to detoxify, magnesium to reduce the stress sweats, prebiotics to keep the skin healthy, and a touch of baking soda for additional deodorizing. This is a cream deodorant that is usable by even the most sensitive skin. I love roses! I think I say it multiple times now, but I really do love them! 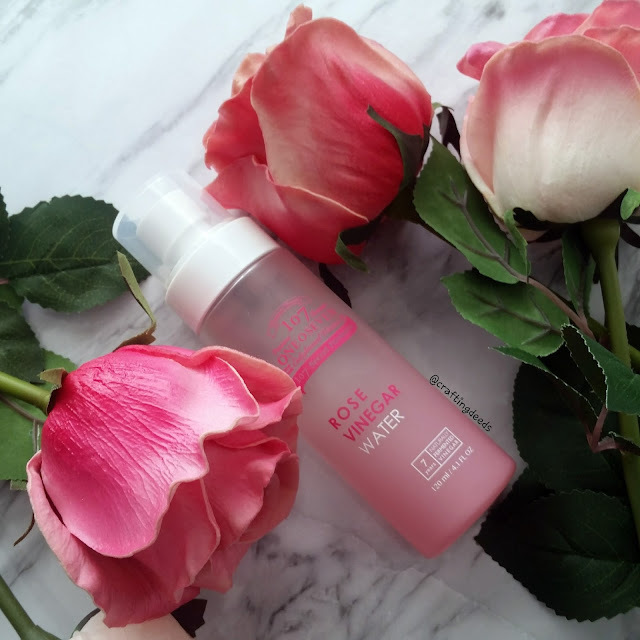 Any skincare products that says roses on them instantly has my attention!! So I was really excited to hear 107 OneOSeven coming out with a Rose Vinegar Water last year. 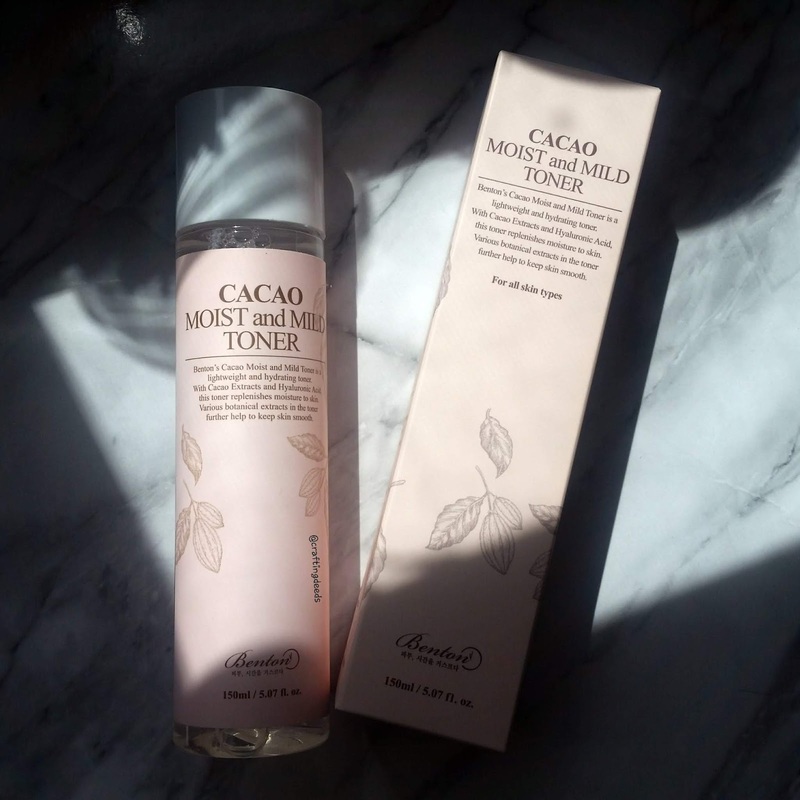 I was fortunate to be selected as one of the testers for Benton's newest product, the Cacao Moist and Mild toner. I was so excited, as I got the cream as well. I also received the serum from the Skinvestment event last weekend, so I have the entire line to test. However, life got the best of me and I haven't used the toner enough times to warrant a full review. So, instead, this will be a first impressions post. TesterKorea, one of the websites I like to use, had a mystery mask for $1 a while ago. 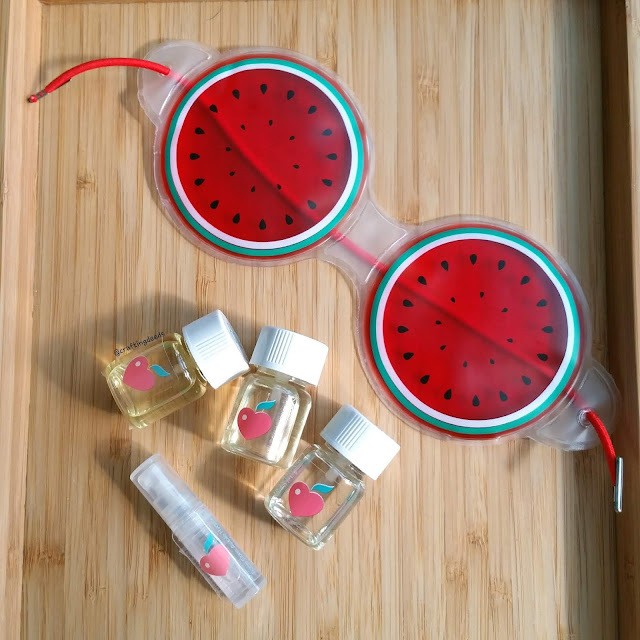 I was doing a mask haul so I added one to it. 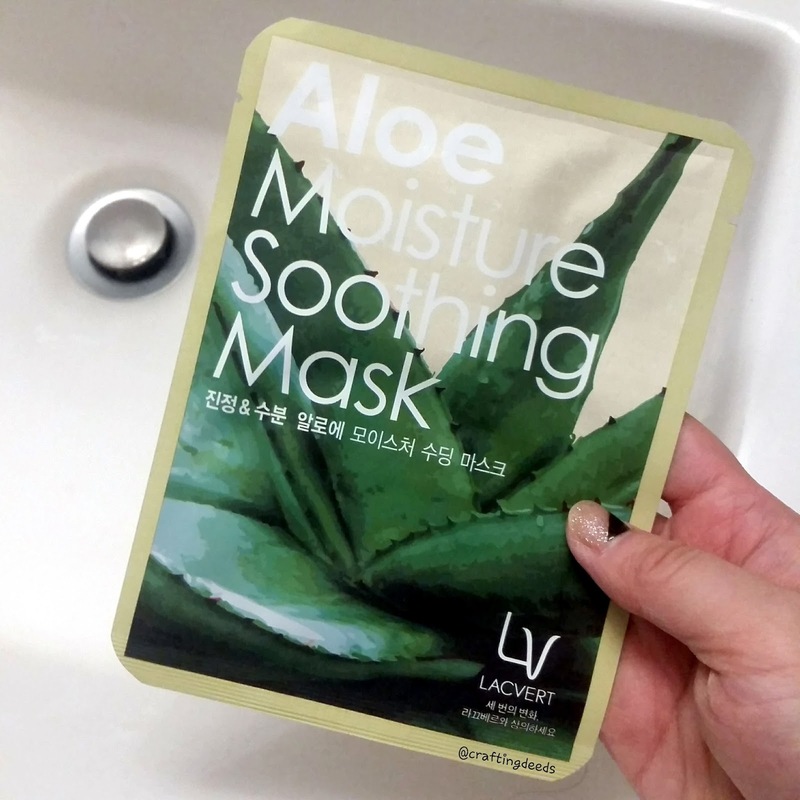 It turned out to be the Lacvert Aloe Moisture Soothing Mask. I have no idea what it is supposed to do besides it has aloe in it and it is supposed to be moisturizing and soothing. So I am basically going in blind. Let's see how it goes for me. I think I received the Secret Key Syn-ake Wrinkle Mask Pack from a mystery box from Secret Key a couple years ago. I never really paid attention to it as anti-aging wasn't much of a concern to me. But given how I am getting older and the expiration date is coming up, I decided it is worth a try. 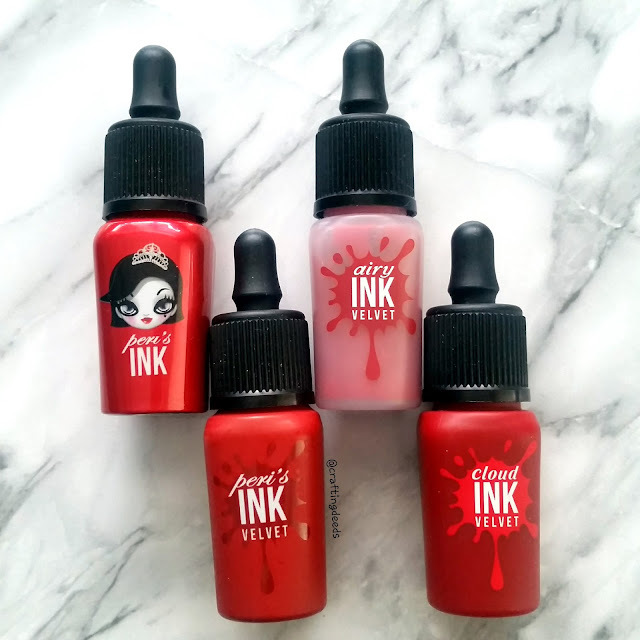 I had reviewed a few products from Jolse and always ended up loving them! 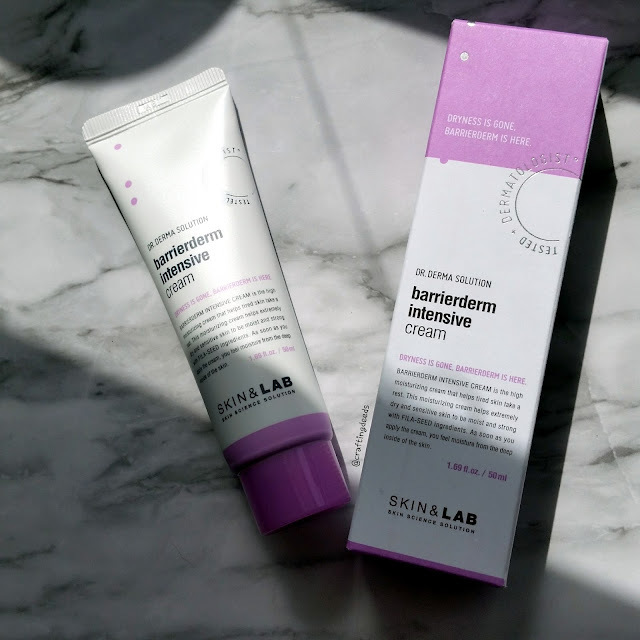 Today's review is the Skin & Lab Barrierderm Intensive Cream. I am so excited to try this as it seems to be designed for my dehydrated skin living in a dry environment. But this will only be a first impression instead of a full review. I will explain why further on. I love peeling feet masks, they are so satisfying to use when big chunks of skin peel off! 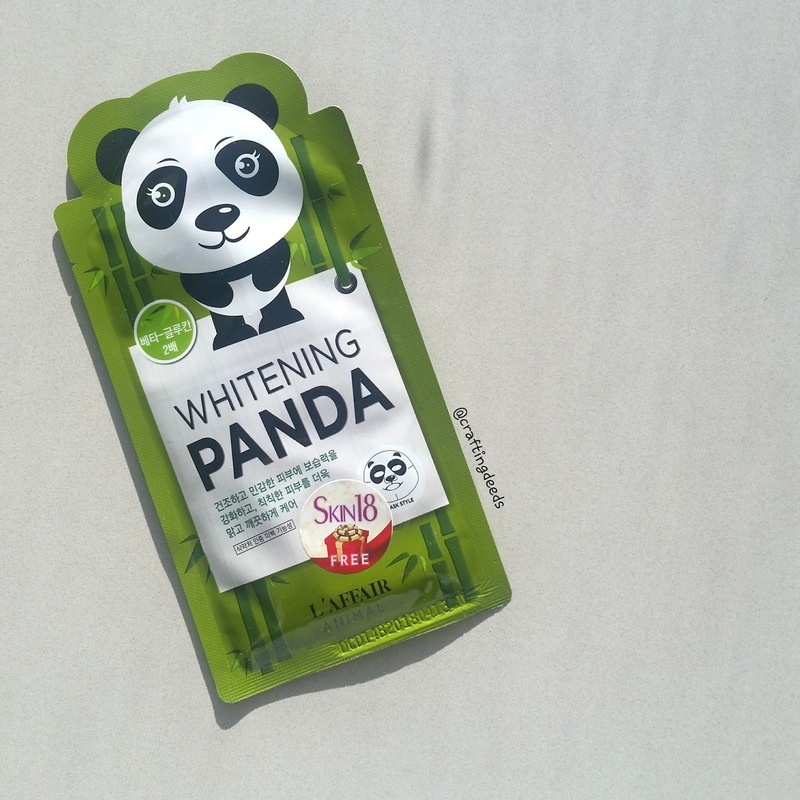 My favourite is the Tonymoly Shiny Foot Super Peeling Liquid, but I wasn't a big fan of how it left a chemical taste in my mouth so I went looking for a new one. 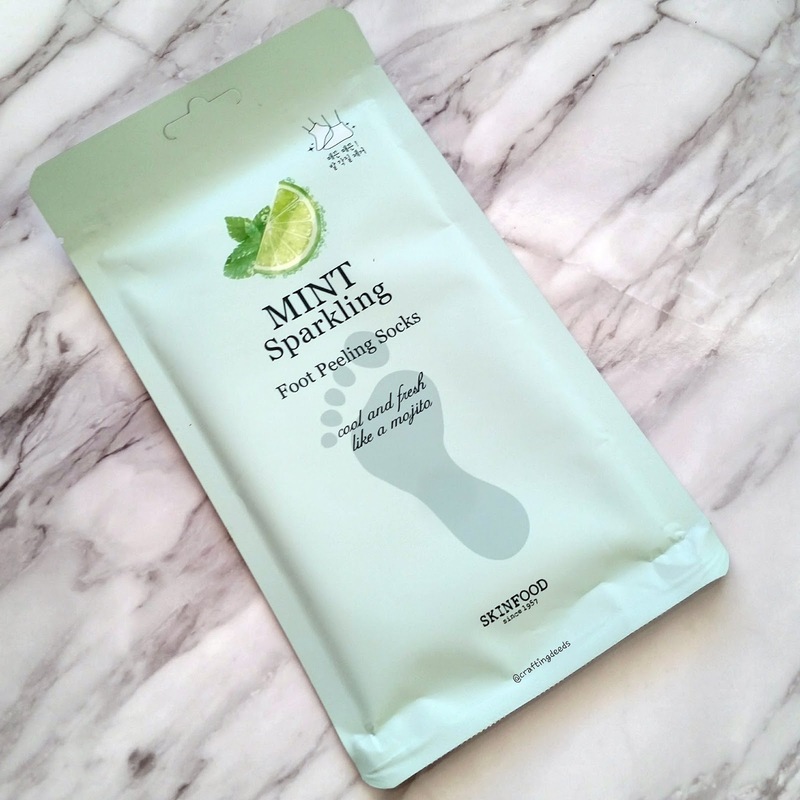 I was disappointed with a couple of masks I tried before I stumbled upon the Skinfood Mint Sparkling Foot Peeling Socks. Let's see how it performs eh. Multi-step mask provides a convenience for those who are travelling. 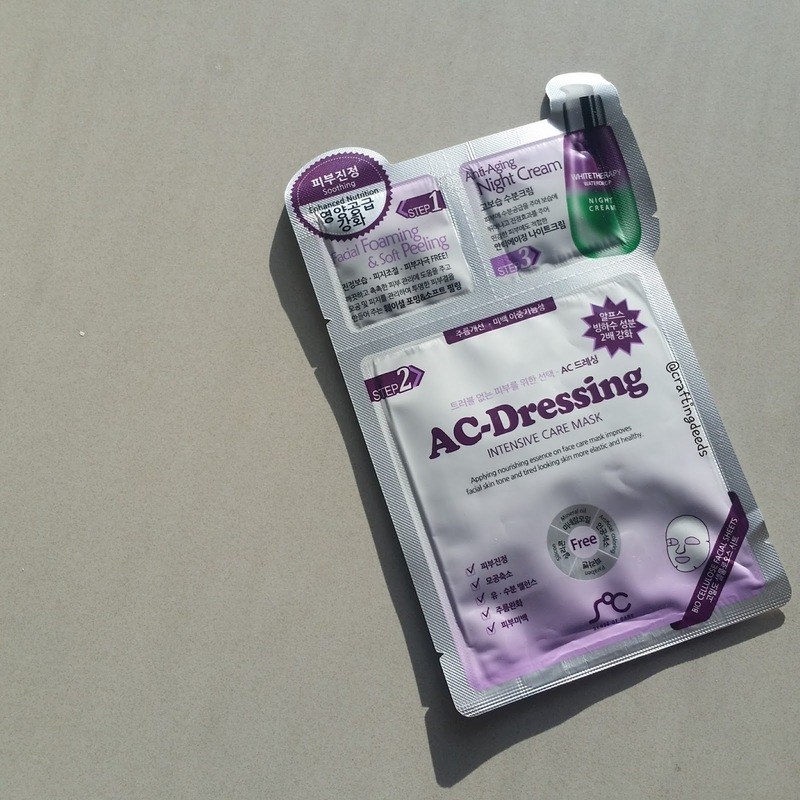 I haven't traveled much in recent year so the SOC 3 Step AC Dressing Mask in my stash has not been used. I decided to just try it and see how it performs. So let's see. I love flowers, I gravitate toward anything that has flowers on their packaging, especially flowers that I like. And this is exactly how The Face Shop got me! I haven't had the best experience with their masks in the past, and I been avoiding them. 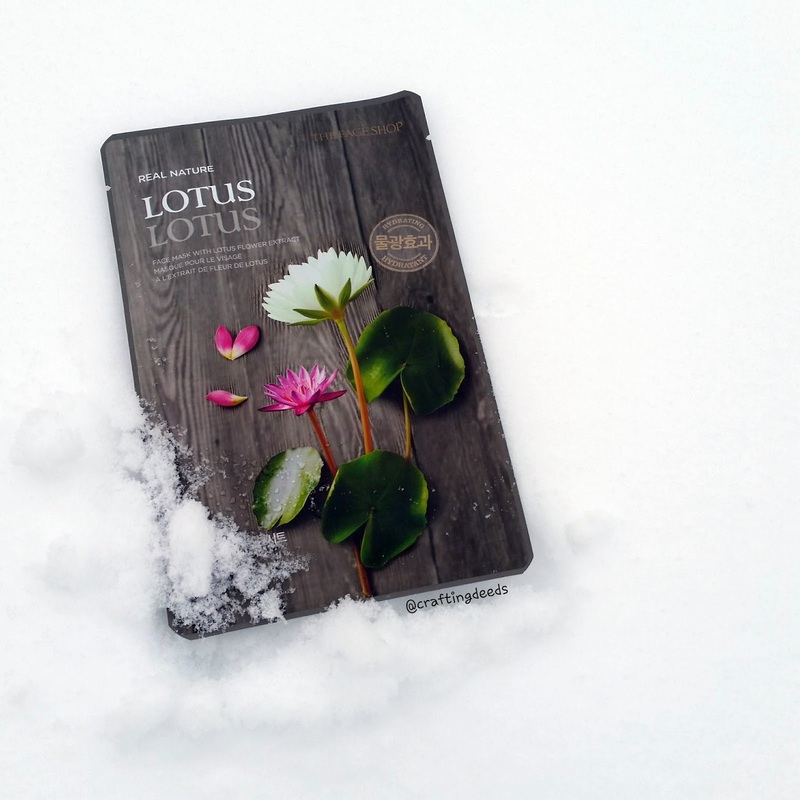 But when I needed some cheap padding product to maximize the shipping weight, I thought the Real Nature Lotus Face Mask would be perfect! Oops. It's been a while since my last post eh. Sorry peeps. But I'm back now and I'll try my best to do catch up on my posts. Today's post is the Lovemore Bitter Gourd Purifying Mask Sheet. 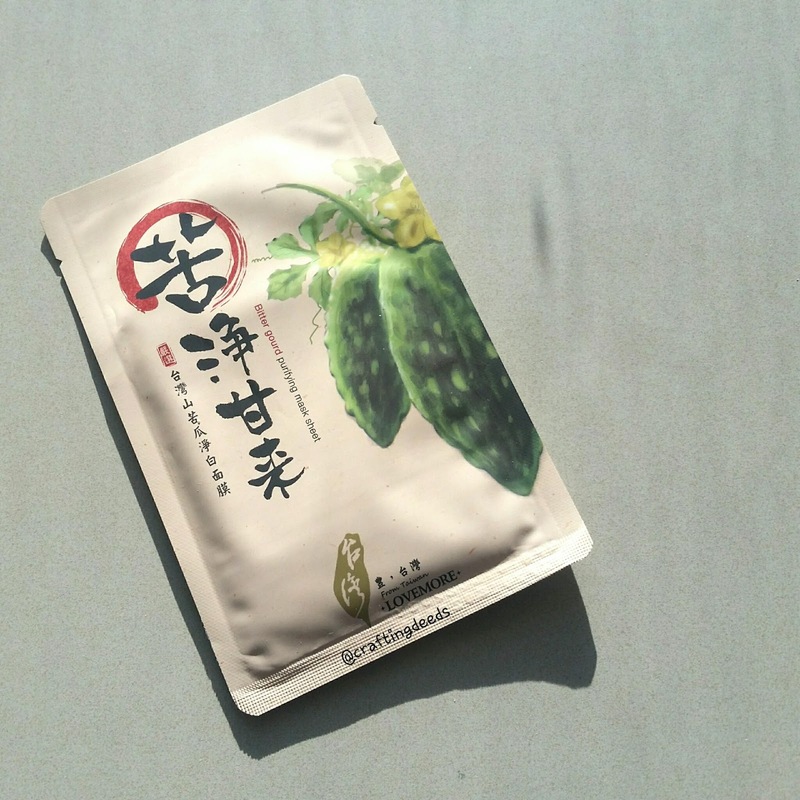 It is to revitalize the skin with selected bitter gourd extract. It also contain deep sea water that is moisturizing and will improve any skin imbalances. It is purported to help produce a more even skin tone. 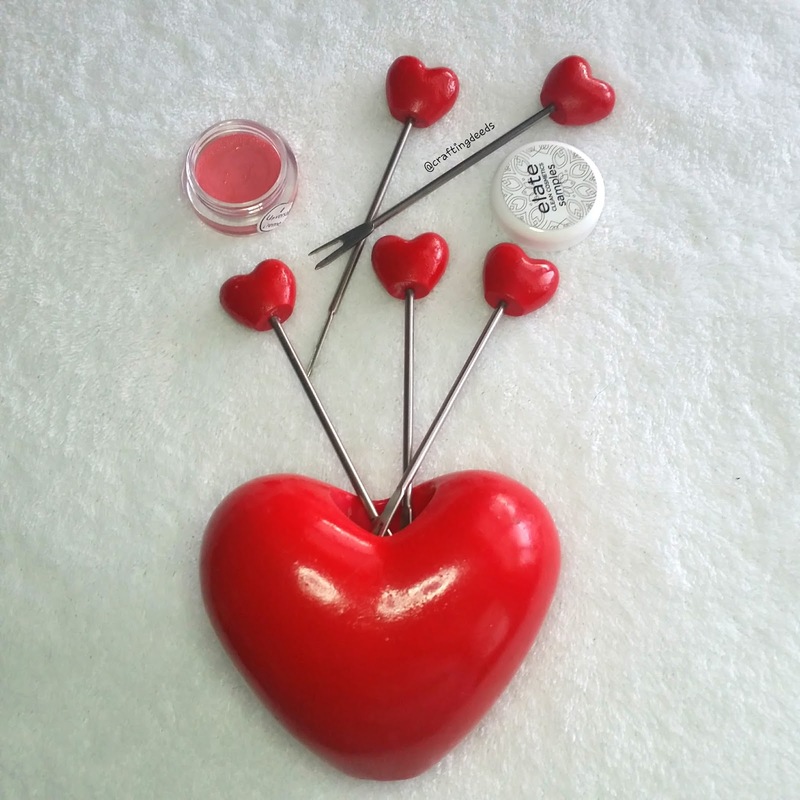 Today is last of the first impressions on Canadian organic beauty companies introduced to me by skinvestmentofficial! 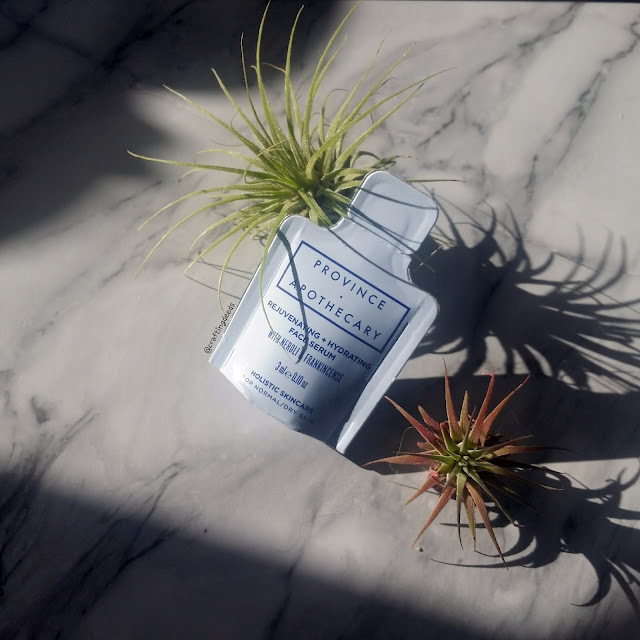 It is the Rejuvenating + Hydrating face serum from Province Apothecary. I was introduced to quite a few Canadian cosmetics brands by Skinvestment's Beauty Date x MTL. One of them was Sweet Lelani Vegan Cosmetics. 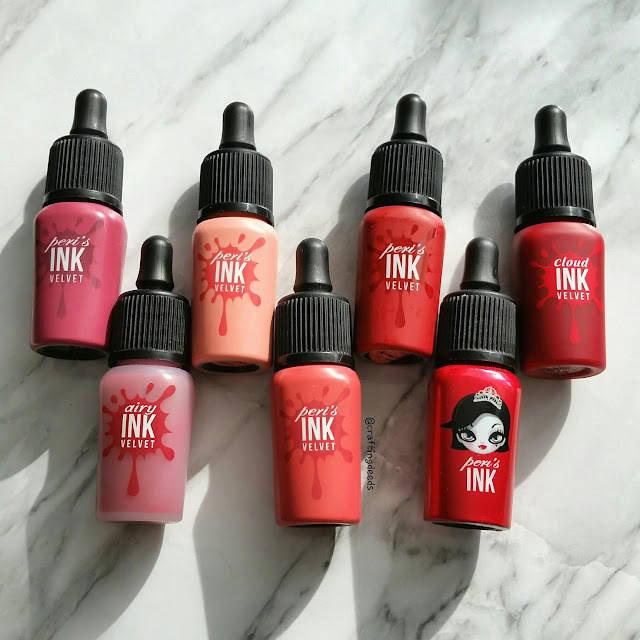 This is a vegan cosmetic brand from Langley BC. 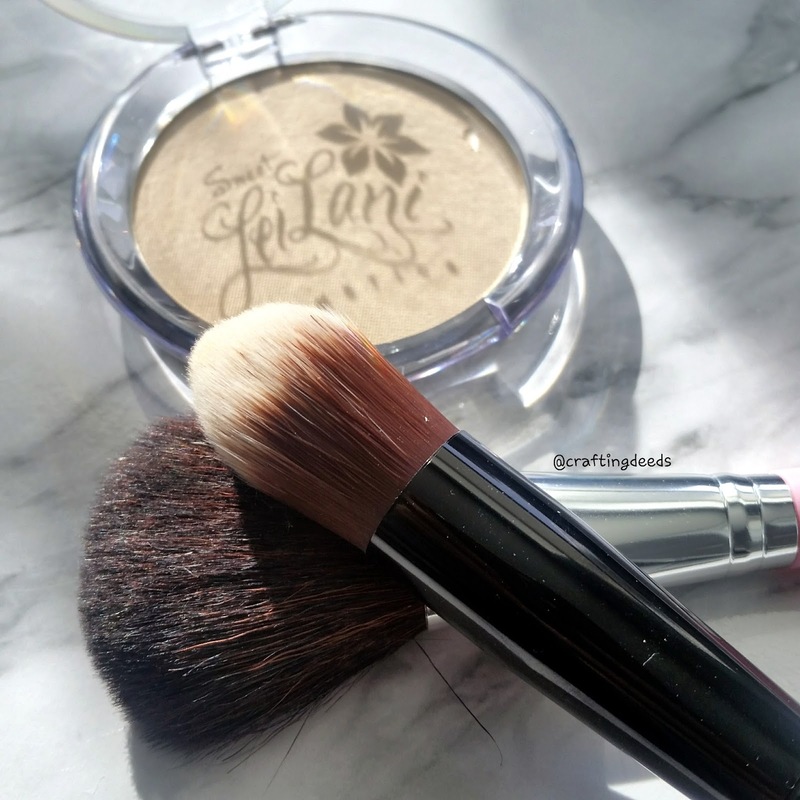 I received their pressed powder for review and this will also be a first impression as I don't use makeup too often. But as always, all opinions expressed are my own. I don't know how to introduce this mask! I honestly bought the A'Pieu x Cocorico Silk Blanket Mask Silver to make up for the weight. I didn't have much high hopes for it, just thought it's gimmicky. I finally decided to try it and here's what I thought of it. 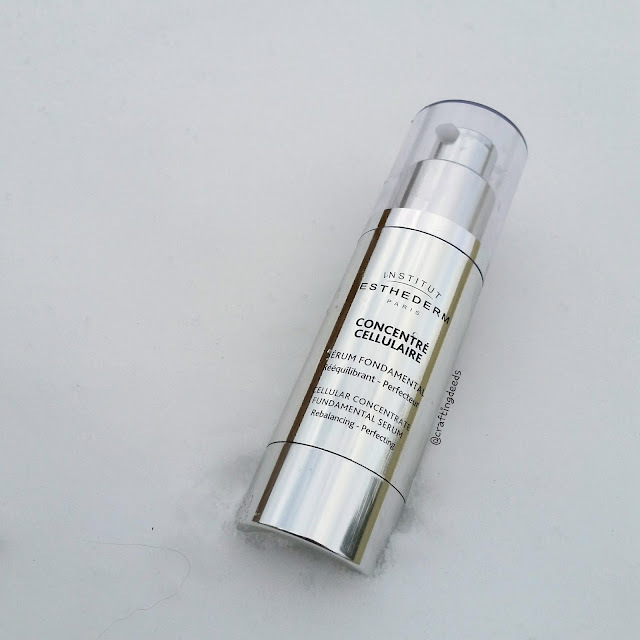 One of the products I received from Skinvestment's Beauty Date MTL was Elate Clean Cosmetic's universal creme in Love! 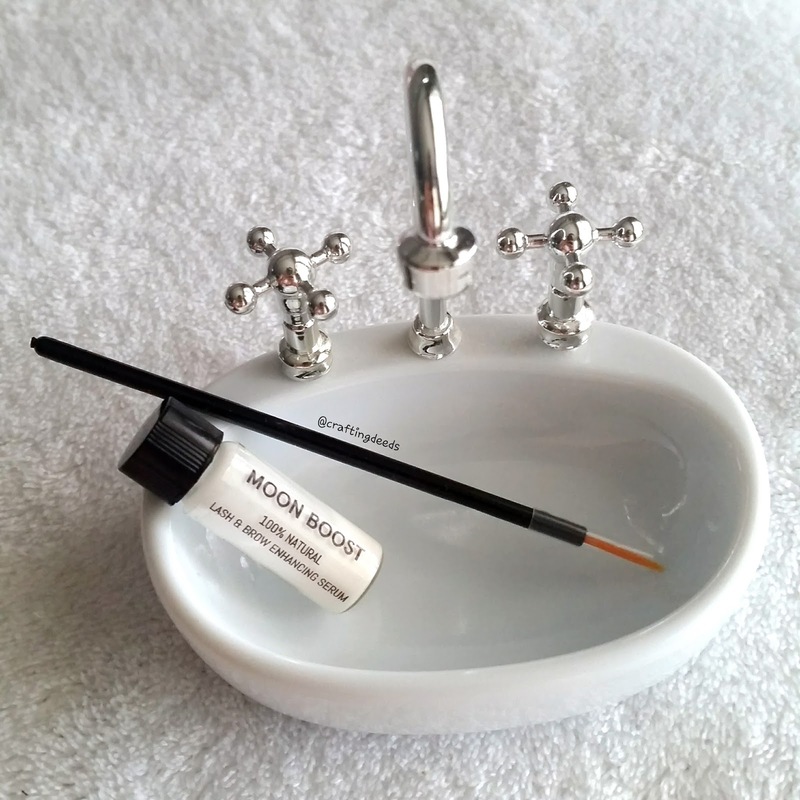 I am going to do a first impression post on the product as I don't use it often enough to warrant a full review. It may take months or years, so let's just settle on a first impression shall we? I got a whole bunch of free masks from Skin 18 a while back for free but only paid for shipping. I haven't heard of most of the brands and have been putting off on using them. But time has come that I need to use them up, so expect a lot of mask reviews from the different brands in the upcoming year. 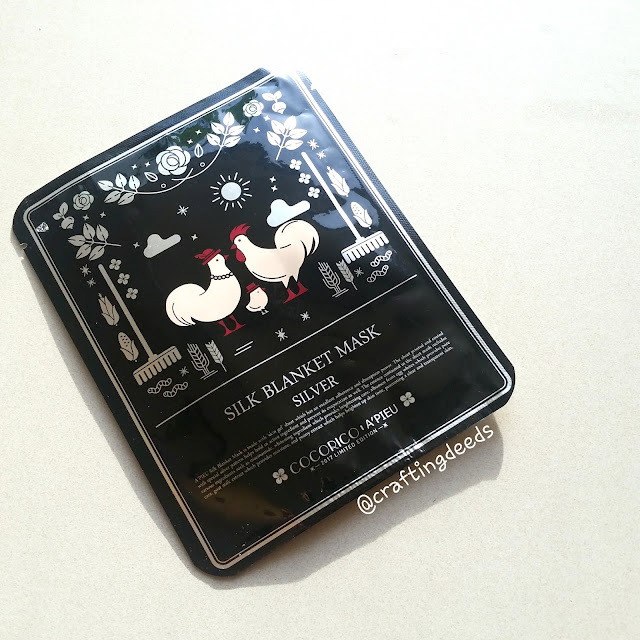 The first one I have tried is the Sense of Care Syn-ake Mask, which is marked as Soc 3D Beauty Serum Face Mask (syn-ake) on Skin 18.